This Book presents popular and very exciting mods which you will certainly need if you would like to survive in the world of Minecraft. Minecraft is a creation, development and adventure game that can be whatever you want it to be. And you can make it even better with the use of Minecraft mods. There are thousands of mods online and there are many more in production and development. Using mods is a way to make your Minecraft adventure come to life. There are mods for conjuring new powers, witchcraft, alchemy, engineering, mapping, enhancing mining, gardening, forestry and for so many other wonderful options that you can only do in Minecraft. There is certainly a mod that will get you what you need and what you want to get done in the game. 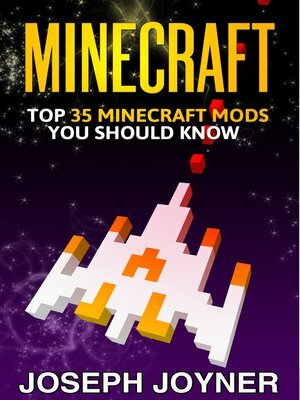 In this book you will find top 35 Minecraft mods. Legal Disclaimer: Author of the book is not associated with the game or its creators. This is an unofficial guide.